Medieval Combat Group is a Historic European Martial Arts (HEMA) group based in Belfast, practicing swordsmanship using techniques from surviving 14th to 15th century manuscripts; aiming to recreate the fighting styles of the medieval era. We train as martial artists, not as re-enactment, or role-play, and use modern safety equipment rather than period costume to allow us to get as close as possible to the actual fighting techniques as they were intended to be used. The group currently focuses on the use of the German longsword (a two handed, double edged sword) and the messer (a short single edged sword used as both a tool and a weapon of self defense). 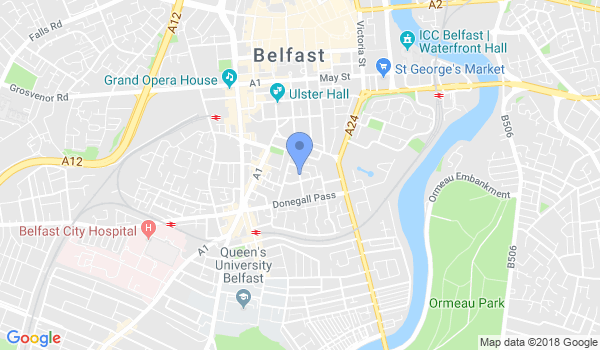 We are the first purely HEMA group in Northern Ireland, and as well as running our regular classes, and happy to provide displays and interactive demonsrations or workshops at events to increase awareness and understanding of the art. Would you like more information on hours, classes and programs available at Medieval Combat Group? Please contact the school with your questions. Update the details, Write a Review or Report Error of Medieval Combat Group.